The web’s longest-running Disney podcast. Fun and thoughtful discussion about everything Disney: theme parks (both coasts), movies, music, Broadway, corporate Mouse House, and more. Hosted by movie critic, lawyer, and bestselling Disney book author Aaron Wallace. Where Disney Podcasters Go to Hang Out. An extremely informal meeting of the Disney “podcasters’ club.” In each episode, a group of different Disney podcasters come together to play games, kick around ideas, and talk the latest news from every corner of the Disney universe. Regular co-hosts include Matt the Esquire, Keegan C., Mike from MiceCast, Greg McNaughten, Aaron Wallace, and many more. 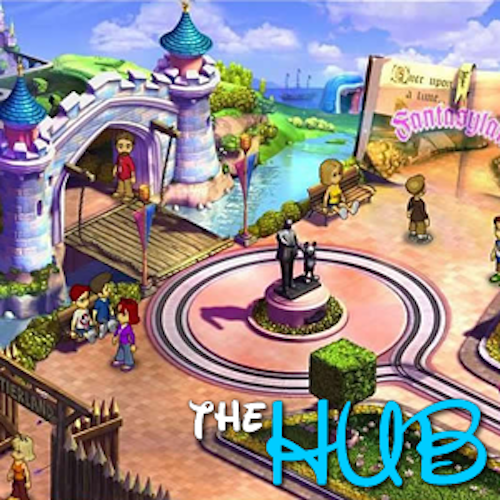 The Hub Will Return Soon!